As you would expect, the subjects’ ghrelin levels dropped after the indulgent, high-calorie shake. After all, this thing contained more than 600 calories. It would fill up anyone. When the subjects drank the low-cal shake, their ghrelin levels stayed basically the same. Here comes the twist: The shakes were identical; they were all moderate-calorie. From this workout, you’ll learn forever that you’re capable of much more than you think. It’s the most powerful lesson you can possibly learn in running. I think all the great coaches always work on the brain anyway. And they get you to run faster because they teach you that you can… I remember the compelling moment in my own rowing career was we used to do 6 times 500 metre repetitions. And one afternoon, we did our sixth and turned around rowing back to the boathouse, and the coach says, ‘No, go to the start again. You’re doing another one.’ So we did another 500. And he said go back. And we did another four. And you know, no one would have believed that we could do that, if you’d asked us… That taught us that you have to teach athletes, somewhere in their careers, that they can do more than they think they can. As Amby points out, the problem is that you can’t prescribe a workout like that to yourself: you need a trusted authority telling you what to do. This is a really interesting and important point. We keep on discovering that the brain is more powerful than we’d suspected in regulating performance (and even appetite hormones) — but it’s still not clear how we can actually harness these powers. In the last month, I’ve posted about palm cooling, face-warming, and a study that suggested that some of the slowdown we experience in hot weather is attributable to the brain rather than body overheating. The latest addition to this theme: a study on neck cooling, published online in Medicine & Science in Sports & Exercise a few days ago. The gist: Seven cyclists performed a 15-minute time trial in 30 C heat, after riding for 75 minutes to heat themselves up. They did it once as a control, once while wearing a “cooling collar” (essentially an icepack that fits around their neck while riding), and once with the cooling collar being replaced every 30 minutes to keep it colder. As expected, the cooling collar improved performance in the time trial by about 7% (this has been demonstrated before); but replacing the cooling collar didn’t produce any further gains, even though any cooling effect had disappeared long before the time trial started. Or, to put it simply, it’s in your head. That doesn’t mean that heat doesn’t have real physiological effects — just that, in most cases, our brains take the heat into account to slow us down prematurely. A reader sent me a link to Bex Runner’s “core cooling device” — essentially a small gel pack that you freeze and strap to your palms. So is it a useful device, or a stupid gimmick? Tough call. There has actually been a fair amount of research on palm cooling over the last decade or so. I blogged last year about a study that found people lifting weights were able to lift more if they cooled their palms between sets. In that case, the palm-cooling device was a fancy one that also applied negative pressure to the palm to help prevent blood vessels from constricting with the cold. That ensures that lots of blood flows through the open vessels, past the cool palms, in order to better cool the rest of the body. Still, the total cooling power of these devices is rather limited. Another study published last year compared the same palm cooling device to an Army cooling vest, and found that the palm cooling didn’t reduce heat strain during treadmill walking. They estimate that the vest was able to extract 55% of the heat generated during the trial, while palm cooling was only able to extract 14% of the heat. [O]ur findings can only be explained by the central processing of peripheral input from afferent nerves and/or changes in core blood temperature and as such these results fit within the theory of the [Central Governor Model] of the regulation of fatigue and the final cognitive decision to end exercise. If that’s the case, the palm-cooler doesn’t need to actually alter your physiology to make you run faster — it just needs to convince your brain that your body is in less distress than it would otherwise be. 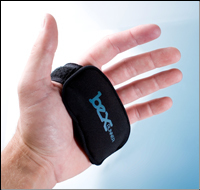 Does this particular Bex device do that in way that makes a practical difference to running performance in the heat? I have no idea — they need some independent studies to demonstrate it. But the mechanism is plausible. (If it does work, there are still some questions. At a race, you’d have some logistical difficulties keeping it frozen until the start. For training, we get back to the question: is it really useful to use devices that make training easier? Or is that sort of self-defeating, because the whole point of training is to challenge yourself? If you run a tempo run in 30 minutes unaided, or 29 minutes with cooled palms at the same effort, do you actually get any superior benefit from the faster pace at the same effort? Or do you lose an opportunity to adapt to heat? Sports performance and the brain on Ritalin, Wellbutrin, etc. 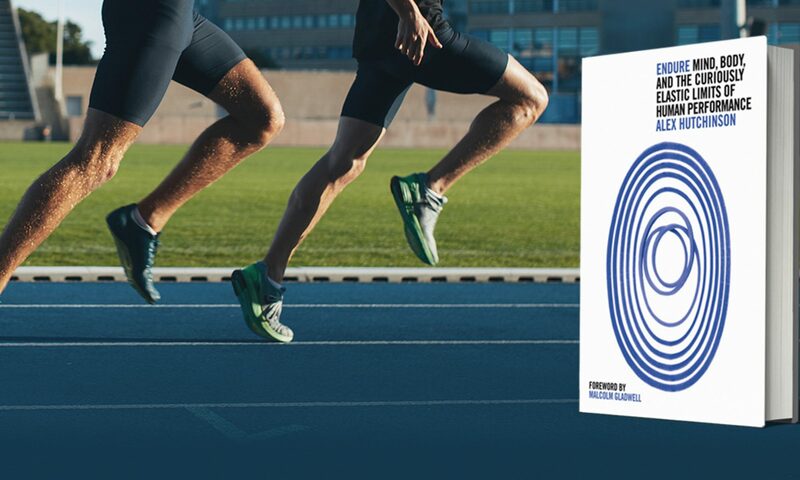 Of the sessions that I attended at the Sport Nutrition Conference in Canberra last month, the one that was most unfamiliar to me was about nutrition and the brain, presented by Romain Meeusen of the Free University in Brussels. He covered a lot of ground about the various ways that the brain interacts with the periphery, but what caught my attention the most was a series of experiments using anti-depressants. The original experiments tried giving substances like bupropion (Wellbutrin), reboxetine and Ritalin to cyclists, and didn’t see any improvement in 30min time trial performance after a 60min warm-up. BUT when they increased the temperature from 18 C to 30 C, all of the sudden these drugs produced massive improvements in performance — from 39.8 to 36.4 minutes for (I think) bupropion. Ritalin was even bigger — a seven-minute improvement. At 18 C, most of the cyclists hit a maximum core temperature of about 39.5 C, but at 30 C they were up over 40.0 C when taking the drugs — almost to the point where the trials had to be halted for ethical reasons. As Meeusen put it, their “safety brake” didn’t work, so they were capable of pushing into the danger zone without feedback from the central nervous system. This is essentially what happened to Tom Simpson (who was taking amphetamines) on Mont Ventoux in 1967, he said. So what does this mean? Well for starters, buproprion, which was recently taken off WADA’s banned list, should be put back on it. To Tim Noakes, this would undoubtedly sound like evidence that fatigue is governed by a “central governor.” Meeusen, as far as I can tell, doesn’t see it that way. He says “fatigue is likely to be an integrated phenomenon with complex interaction among central and peripheral factors.” Which basically means “it’s complicated.” Hard to disagree with that.